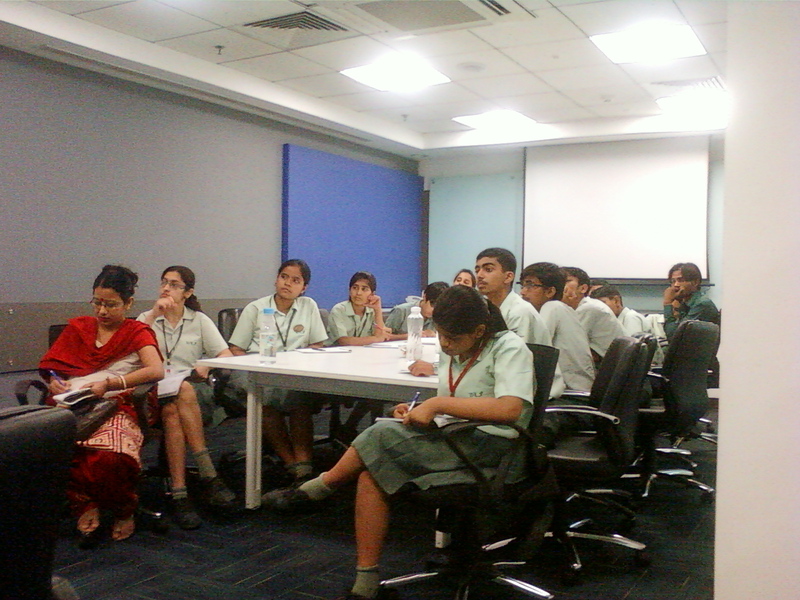 In our continuous effort to impart socially responsible and meaningful educational services, Pearson Longman invited the students of DLF Public School to visit our new office in the Knowledge Boulevard building which has been acknowledged as a Gold-rated LEED (Leadership in Energy and Environmental Design) certified Shell & Core Green Building by the Indian Green Building Council. The kids were bubbling with excitement and were quite delighted to see so many people working in an office space with world class facilities which fully conform to green practices. The enthusiastic students were full of questions about how we save trees and why we are a green building. They also had many queries about what we do to reduce pollution. They were taken on a tour of the entire office and it was explained how Pearson Longman uses eco-friendly technology for efficient use of office resources, while promoting healthy practices like prevention of smoking. They were also informed that employees are encouraged to use the company’s cab pool rather their individual cars. They were also shown a movie on the technologically-advanced mechanical and electrical systems used in constructing and designing this environment-friendly office space. The students realized how Pearson Longman celebrates Earth Day every day by using an environment-friendly office space. The inherent design principle of the Knowledge Boulevard strives to balance environmental responsibility, energy efficiency and resource efficiency, with the comfort of the occupant and community sensitivity. At the end of the day, the students and the teachers walked away with the awareness of how their own knowledge partner, Pearson Longman goes the extra mile not only by giving them quality educational products, but also in practising a sustainable and environment-friendly working philosophy.